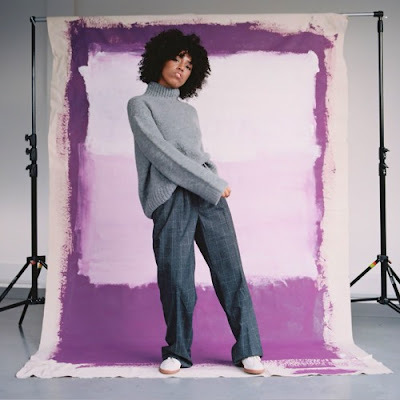 British singer/songwriter Amber-Simone has just shared her brand new track Trashed My Heart, a super infectious disco-inspired jam. Drawing from a wide-ranging palette of influences including funk, soul and electronica, Trashed My Heart feels like a certified disco-anthem for the new school. What sets Amber apart from the rest is her iconic and varied vocal delivery, which blends perfectly to the track’s funky bassline, electric guitar and layered backing vocals. The track was also co-written with Bren Grieve, who when he isn’t busy collaborating is playing bass in Sam Smith’s band. Stream it below! Trashed My Heart is all about detachment. It’s those inner conversations you wind up having with yourself when your trying to hold it all together, when love isn’t kind and when you’d rather live without it. Having been singing since she was 16, 21-year-old Amber’s vocal sound is unique and powerful, citing Millie Womack and Michael Jackson among her influences. Growing up in east London and then moving to Hertfordshire in her early teens, Amber listened to funk and soul music throughout her childhood, a sound which has very much impacted her own music, along with her discovery of indie electronica, artists such as Niki and the Dove or Metronomy, and 80’s film scores. In addition to her own material, Amber’s had a writing cut on the Aquilo album as well as writing with the likes of Shy Luv, Franc Moody, Phairo and Joe Hertz.